You’ve hung up the four-leaf clover sunglasses and threw that beer-stained green shirt into the laundry. Now all that’s left is to take care of this post-St. Paddy’s Day party hangover. Start by sleeping in. Eventually drag yourself out of bed (hopefully before the sun goes down). Then between alternating sips of coffee and water, you can throw together these hearty breakfast pick-me-ups no matter how blurry-eyed you are. 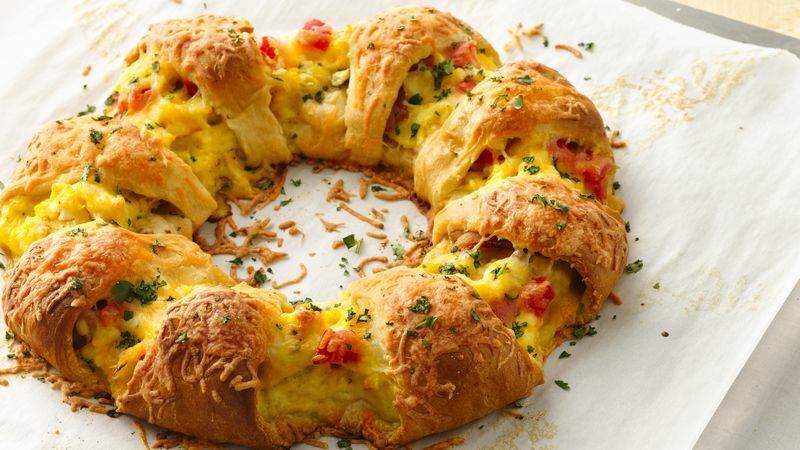 Go extra easy with a one-skillet cheesy potato casserole, or construct an impressive brunch ring. Use a can of crescent dough to create savory pizza rolls or spike some cream cheese icing and pour over freshly baked cinnamon rolls. Whatever you do and however much effort you put into it, don’t skip out on these breakfast dishes. They’re guaranteed to help start the day right and get you back onto your feet.